Training. Businesses can use YouTube to deliver effective training. Simply giving a training manual to an employee has mixed results–they may not really read it and they may not really understand it if they do. Paying a trainer, or delegating another employee to conduct training costs money, and results may vary depending on the trainer. A video clip allows you to record the training exactly as it should be delivered, and re-use it over and over without incurring any additional costs. How else do you envision YouTube’s new service helping you and your business? Mike Maddock begins by stating “You can;t read the label, when you are sitting inside the jar” which many employees find themselves inside. It is important to understand that we all have different perspectives and see things differently. That is why it is important to not throw away ideas. In the innovation process, Maddock Douglas has a Global Expert Network (GEN) of 6,000 innovators that they can look to for external ideas and innovation. It is not necessary though to have a GEN in order to have external ideas, as long as you are looking outside of the box. The speakers then moved on to an interactive session called the “toothpick” test where attendees had to remove toothpicks from a board in order to create squares. The purpose of the test was to see if anyone asked helped and no one did. The reason why they didn’t ask for help was because before the test Mike mentioned to everyone that they are smart and didn’t need help. This proves that by motivating employees and keeping their spirits up, much more can be done. Joey Fitts has spent his personal and professional helping people and organizations achieve their goals. Fitts’ focus is on bridging the gap between people, information and performance. His passionate insights and unwavering drive have guided the information and performance development efforts of many of the world’s leading organizations. Fitts is recognized as an authority on business intelligence, performance management, and strategy execution. A frequent international speaker, Fitts has presented in over 20 countries and been featured in newspaper, radio and magazine media across North America, Europe and Asia. Fitts has consulted over 25 of the Fortune 500, guest lectured Harvard Executive Education programs and the Stanford Executive Briefings, been featured in the SuccessFactors Research Thought Leader Network, raised over $16M in venture capital, and served on the Board of Advisors for InterVivos and the Computer Technology Industry Association (CompTIA).Joey’s bio courtesy of JoeyFitts.com Join Joey for his presentation, “Drive Business Performance: How Leaders Enable a Culture of Intelligent Execution” at 11:20am on Day 2 of NACCM 2010! Learn more about the program and register today! AdAge recently looked at behavioral economics, or why people buy what they do. The concept holds that psychology and economics work together to dictate a person’s behavioral purchases, not just the price and quality of a product. Today, when there are so many brands to choose from, it’s important that the marketers of the world understand why people are choosing to buy their products. The popular micro-blogging network, Twitter is currently free for anyone to use – and users like it that way. According to the 2010 USC Annenberg Digital Future Study, 0% of respondents claimed that they would be willing to pay for the service. The report goes on to stay that users are okay with web advertising in lieu of paying for the service. Is this a shock to you? Robert Bain of Research recently decided to spend a month taking online surveys. Through is month adventure, he faced many challenges, from being kicked out of surveys and failing to qualify for many. In the end, the experiment received 150 email invitations, clicked through to 99 surveys, started 73, got kicked out of 39, completed 30, crashed out of three and gave up on one. What were some of the take aways he gathered from 73 surveys in 31 days? -Be honest with your survey taker. If they do not qualify, let them know why. -Surveys don’t provide enough answers. Give your respondents enough room to tell the truth in the survey. Read about Robert’s full 31 day experience here. 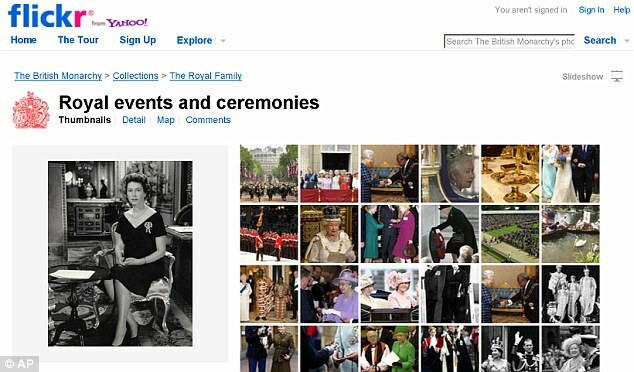 What do you think of the Royal’s social media presence? Mark Potts of MindShare and Dr. Andrew Pradeep of NeuroFocus gave an excellent presentation about the process of using neuroscience for marketing research in their workshop presentation titled: Neurological Testing Reveals the Truth of Audience Engagement. Respondents are recruited based on research objectives (as in traditional studies). Respondents wear a “full cap” on their head with 64 sensors attached. These collect data 2000 times every second. This coupled with eye-tracking is the “data collection” methodology. Consumers can’t tell us everything they’re sensing. For example, a consumer may look very closely at something on a grocery store aisle that grabs attention but the subconscious areas of the brain don’t “tell” the conscious what they think, feel, etc. But it can, however, be measured through brain activity. 3 metrics are measured directly at the brain. Learn more in “From Brick to Click: Designing to Peak Emotions: Using Social Media to Re-connect with Consumers On and Off-Line” keynote presentation by Marc Gobe, President of Emotional Branding and Author of Emotional Branding on Wednesday, September 29th at The Category Leadership Conference in Chicago. Register today and save $200 off the standard rate.